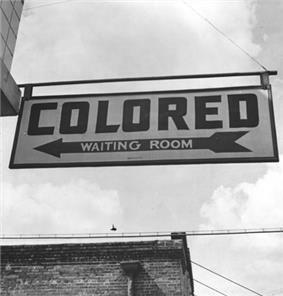 Genocide is the systematic destruction of all or a significant part of a racial, ethnic, religious or national group. 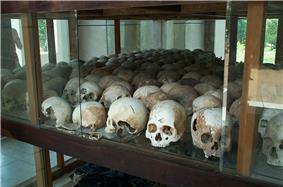 Well-known examples of genocide include the Holocaust, the Armenian genocide, and more recently the Rwandan genocide. Raphael Lemkin, in his work Axis Rule in Occupied Europe (1944), coined the term "genocide" by combining Greek genos (γένος), "race, people" and Latin cīdere "to kill". During an interview with Lemkin, the interviewer asked him about how he came to be interested in this genocide. 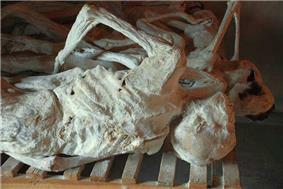 He replied: "I became interested in genocide because it happened so many times. It happened to the Armenians, then after the Armenians, Hitler took action." The first draft of the Convention included political killings, but these provisions were removed in a political and diplomatic compromise following objections from some countries, including the USSR, a permanent security council member. The USSR argued that the Convention's definition should follow the etymology of the term, and may have feared greater international scrutiny of its own Great Purge. Other nations feared that including political groups in the definition would invite international intervention in domestic politics. Because the universal acceptance of international laws, defining and forbidding genocide was achieved in 1948, with the promulgation of the Convention on the Prevention and Punishment of the Crime of Genocide (CPPCG), those criminals who were prosecuted after the war in international courts, for taking part in the Holocaust were found guilty of crimes against humanity and other more specific crimes like murder. Nevertheless the Holocaust is universally recognized to have been a genocide and the term, that had been coined the year before by Raphael Lemkin, appeared in the indictment of the 24 Nazi leaders, Count 3, which stated that all the defendants had "conducted deliberate and systematic genocide—namely, the extermination of racial and national groups..."
Andreopoulos, George J., ed. (1994). Genocide: Conceptual and Historical Dimensions. University of Pennsylvania Press. Chalk, Frank; Kurt Jonassohn (1990). The History and Sociology of Genocide: Analyses and Case Studies. Yale University Press. Conversi, Daniele (2005). "Genocide, ethnic cleansing, and nationalism". In Gerard Delanty, Krishan Kumar (eds). Handbook of Nations and Nationalism. vol. 1. London: Sage Publications. pp. 319–333. Harff, Barbara (August 2003). Early Warning of Communal Conflict and Genocide: Linking Empirical Research to International Responses. Westview Press. Jonassohn, Kurt; Karin Björnson (1998). Genocide and Gross Human Rights Violations. Transaction Publishers. Kelly, Michael J. (2005). Nowhere to Hide: Defeat of the Sovereign Immunity Defense for Crimes of Genocide & the Trials of Slobodan Milosevic and Saddam Hussein. Peter Lang. Laban, Alexander (2002). Genocide: An Anthropological Reader. Blackwell Publishing. Rotberg, Robert I.; Thomas G. Weiss (1996). From Massacres to Genocide: The Media, Public Policy, and Humanitarian Crises. Brookings Institution Press. Sagall, Sabby (2013). Final Solutions: Human Nature, Capitalism and Genocide. Pluto Press. p. 309. Shaw, Martin (2007). 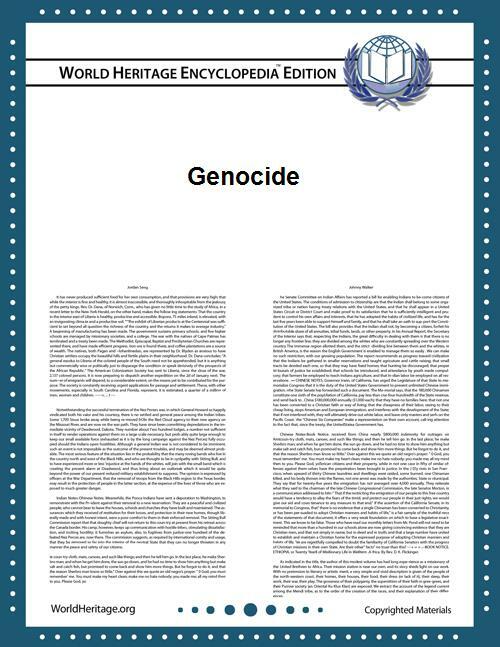 What is Genocide?. Cambridge: Polity Press.
. New York: Cambridge University Press. 978-0521-42214-7The roots of evil: The origins of genocide and other group violenceStaub, Ervin (1989).
. New York: Oxford University Press. 978-0-19-538204-4Overcoming Evil: Genocide, violent conflict and terrorismStaub, Ervin (2011). Sunga, Lyal S. (1992). Individual Responsibility in International Law for Serious Human Rights Violations. Springer. Valentino, Benjamin A. (2004). Final Solutions: Mass Killing and Genocide in the 20th Century. Weitz, Eric D. (2003). A Century of Genocide: Utopias of Race and Nation. ^ genocide in the Oxford English Dictionary, 2nd ed.—"1944 R. Lemkin Axis Rule in Occupied Europe ix. 79 By ‘genocide’ we mean the destruction of a nation or of an ethnic group." ^ New York Times ""
^ Rubinstein, W. D. (2004). Genocide: a history. Pearson Education. p. 308. ^ a b Robert Gellately & Ben Kiernan (2003). The Specter of Genocide: Mass Murder in Historical Perspective. Cambridge, UK: Cambridge University Press. p. 267. ^ a b c Staub, Ervin (31 July 1992). The Roots of Evil: The Origins of Genocide and Other Group Violence. Cambridge, UK: Cambridge University Press. p. 8. ^ Mandate, structure and methods of work: Genocide I of the UN Commission of Experts to examine violations of international humanitarian law committed in the territory of the former Yugoslavia, created by Security Council resolution 780 (1992) of 6 October 1992. ^ Prosecutor v. Radislav Krstic – Appeals Chamber – Judgment – IT-98-33 (2004) ICTY 7 (19 April 2004) See Paragraph 6: "Article 4 of the Tribunal's Statute, like the Genocide Convention, covers certain acts done with "intent to destroy, in whole or in part, a national, ethnical, racial or religious group, as such." ^ The Crime of Genocide in Domestic Laws and Penal Codes website of prevent genocide international. ^ Staff. There are NO Statutes of Limitations on the Crimes of Genocide! On the website of the American Patriot Friends Network. Cites Barbara Harff and Ted Gurr "Toward empirical theory of genocides and politicides," International Studies Quarterly 37, 3 . ^ Harff, Barbara (1992). Fein, Helen, ed. "Recognizing Genocides and Politicides". Genocide Watch (New Haven, CT: Yale University Press) 27: 37, 38. ^ Domocide versus genocide; which is what? ^ ECHR Jorgic v. Germany Judgment, 12 July 2007. § 44 citing Prosecutor v. Kupreskic and Others (IT-95-16-T, judgment of 14 January 2000), § 751. In 14 January 2000, the ICTY ruled in the Prosecutor v. Kupreskic and Others case that the killing of 116 Muslims in order to expel the Muslim population from a village amounted to persecution, not genocide. ^ "A/RES/57/228B". 2003-05-022. Retrieved 11 December 2010. ^ Fourth Report of the Prosecutor of the International Criminal Court, to the Security Council pursuant to UNSC 1593 (2005) PDF (597 KB), Office of the Prosecutor of the International Criminal Court, 14 December 2006. ^ Adam Jones (2010), Genocide: A Comprehensive Introduction (2nd ed. ), p.271. 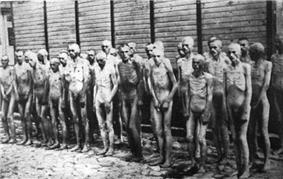 – "'" Next to the Jews in Europe," wrote Alexander Werth', "the biggest single German crime was undoubtedly the extermination by hunger, exposure and in other ways of . 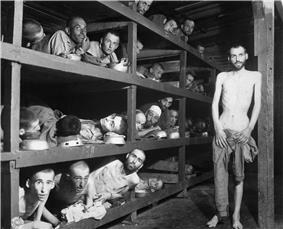 . . Russian war prisoners." Yet the murder of at least 3.3 million Soviet POWs is one of the least-known of modern genocides; there is still no full-length book on the subject in English. It also stands as one of the most intensive genocides of all time: "a holocaust that devoured millions," as Catherine Merridale acknowledges. The large majority of POWs, some 2.8 million, were killed in just eight months of 1941–42, a rate of slaughter matched (to my knowledge) only by the 1994 Rwanda genocide." ^ Staub, E (1989). The roots of evil: The origins of genocide and other group violence. New York: Cambridge University Press. Other authors have focused on the structural conditions leading up to genocide and the psychological and social processes that create an evolution toward genocide. authoritarian cultures and political systems, and the passivity of internal and external witnesses (bystanders) all contribute to the probability that the violence develops into genocide. 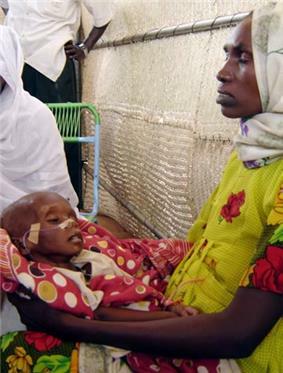 Intense conflict between groups that is unresolved, becomes intractable and violent can also lead to genocide. The conditions that lead to genocide provide guidance to early prevention, such as humanizing a devalued group,creating ideologies that embrace all groups, and activating bystander responses. There is substantial research to indicate how this can be done, but information is only slowly transformed into action. Revisionist attempts to challenge or affirm claims of genocide are illegal in some countries. For example, several European countries ban denying the Holocaust, while in Turkey it is illegal to refer to mass killings of Armenians, Greeks and Assyrians by the Ottoman Empire toward the end of the First World War as a genocide. Ieng Sary, a former foreign minister, who was indicted on charges of genocide, war crimes, crimes against humanity and several other crimes under Cambodian law on 15 September 2010. 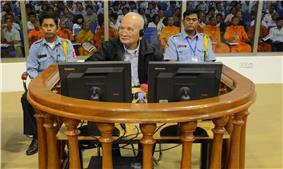 He was transferred into the custody of the ECCC on 12 November 2007. 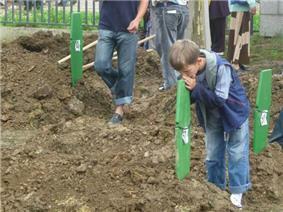 His trial, which is ongoing, started on 27 June 2011. The Cambodians between 1975–1979, including deaths from slave labour. About 30 people have been indicted for participating in genocide or complicity in genocide during the early 1990s in European Court of Human Rights. 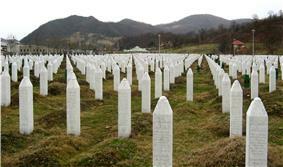 A further eight men, former members of the Bosnian Serb security forces were found guilty of genocide by the State Court of Bosnia and Herzegovina (See List of Bosnian genocide prosecutions).